A dog drops everything to chase after a squirrel. My mind frequently drops everything to chase after nothing. Nothing but repetitive, wandering, mindless, meaningless and often negative “stuff.” It fills my mind, but doesn’t fill me or lift me up. Trying to remedy this, I’m using my mind differently by doing more japa. When repeating mantra silently, I can lose track of it, making it more difficult to stay conscious. So I decided to set aside some times for out loud mantra repetition. Repeating mantra out loud, I can coax my mind into staying present. My daily “mantra breaks” include driving my car. The garage door goes up, so mantra begins. Another is when I’m cooking. Walking into the kitchen is my cue to start mantra as well as dinner. By doing japa, I am using external cues to start an internal process called dharana. The August contemplation article Use Your Mind Differently explains this first step towards meditation. 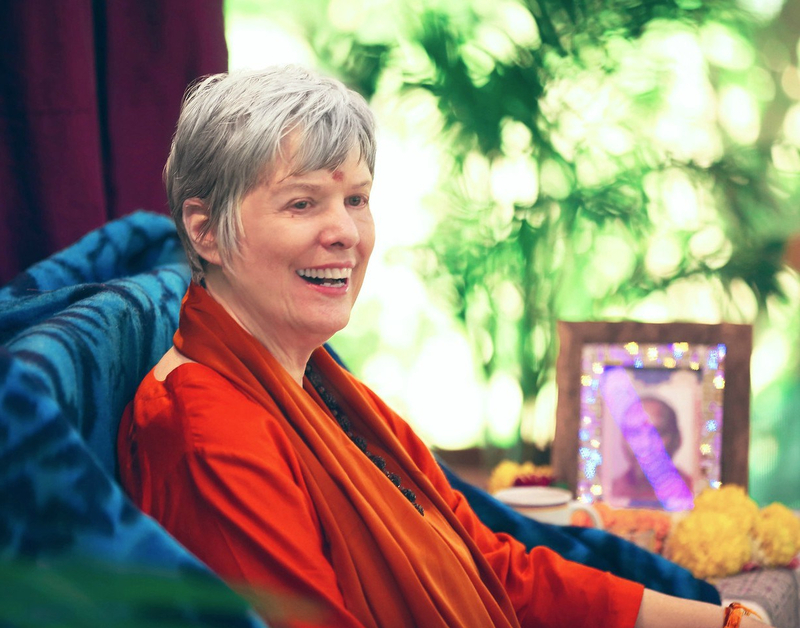 Swami Nirmalananda and Rukmini write, “Dharana cultivates your ability to focus, but uses it to focus inward instead of outward.” Swamiji translates dharana as contemplation. Wonderfully, this contemplation draws my focus inward in the midst of outward activity. This is yoga in the midst of life! Recently I made pesto. With a sink full of basil, I repeated mantra as I plucked each leaf. As I mixed basil, garlic, pine nuts, parmesan and olive oil, my mantras swirled together. They were as loud as the food processor. I watched in total bliss as the ingredients came together. My husband commented that it was the best pesto I’d ever made. I think he could taste the mantra. It’s great to infuse my food and my driving with the Grace of the mantra. Yet I don’t do it to improve my cooking or driving. I do it to reshape my mind. As Swami and Rukmini say in their article, I do japa to imprint my mind with Consciousness. Our Shaktipat tradition gives us the gift of an enlivened mantra, infused with the power and Grace of our lineage. I am grateful to be part of this lineage of meditation masters. Because I’ve received the gift of Kundalini awakening from Swami Nirmalananda, mantra fills me up. Filled from the inside, I’m transported into the bliss of my own being. This entry was posted in Ashram News on August 14, 2018 by Svaroopa Vidya Ashram. I love the cues! Thanks for a beautiful reminder, Karuna. Thank you Karuna – beautifully said!